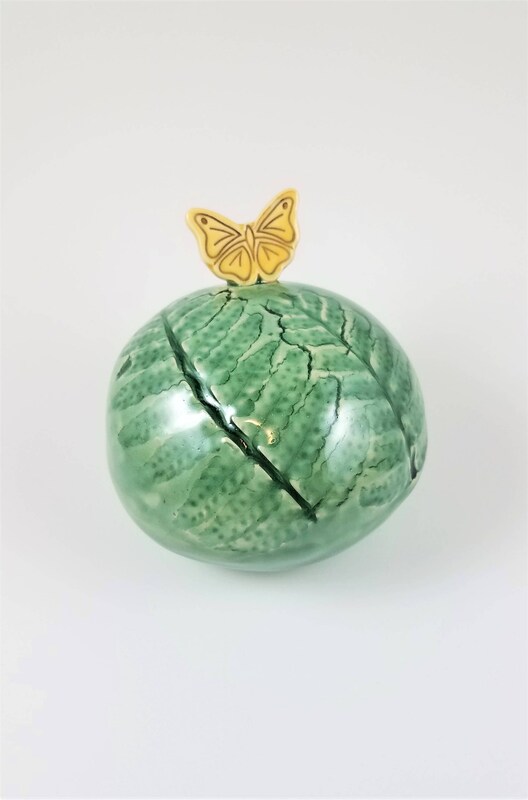 Meditate, relax and unwind with this handcrafted porcelain Butterfly Spirit Rattle. 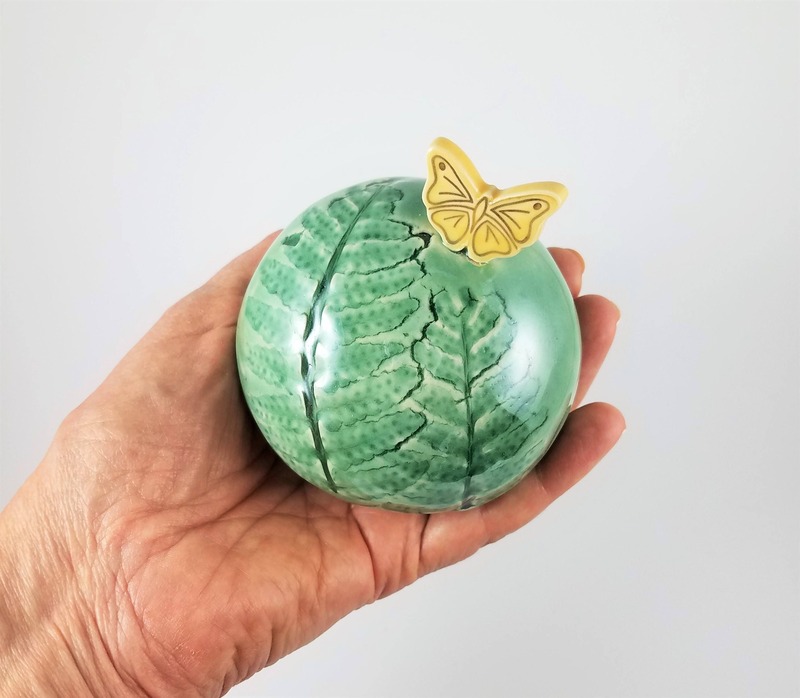 Place this Meditation Spirit Rattle in the palm of your hand and shake. 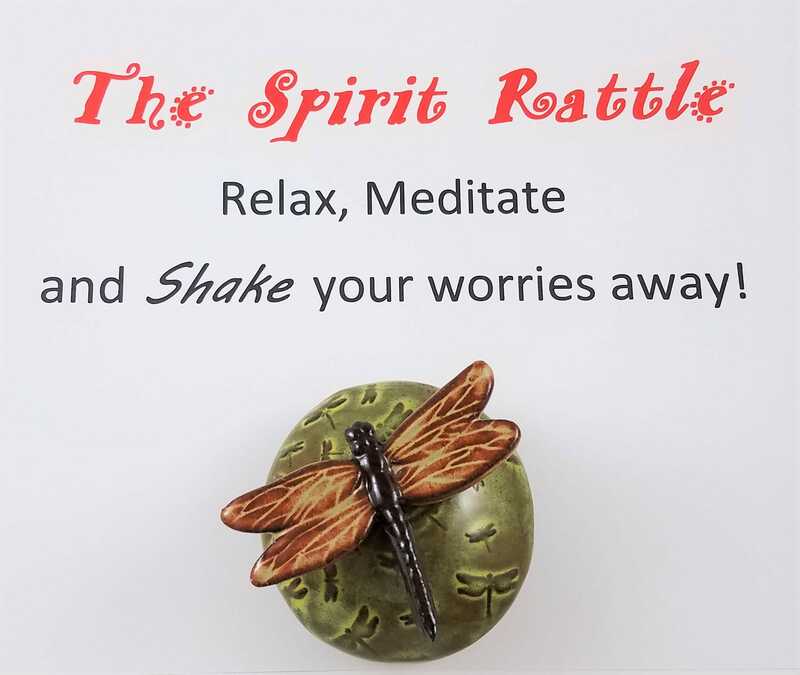 Many find that meditating with their spirit rattle helps relieve stress and anxiety. 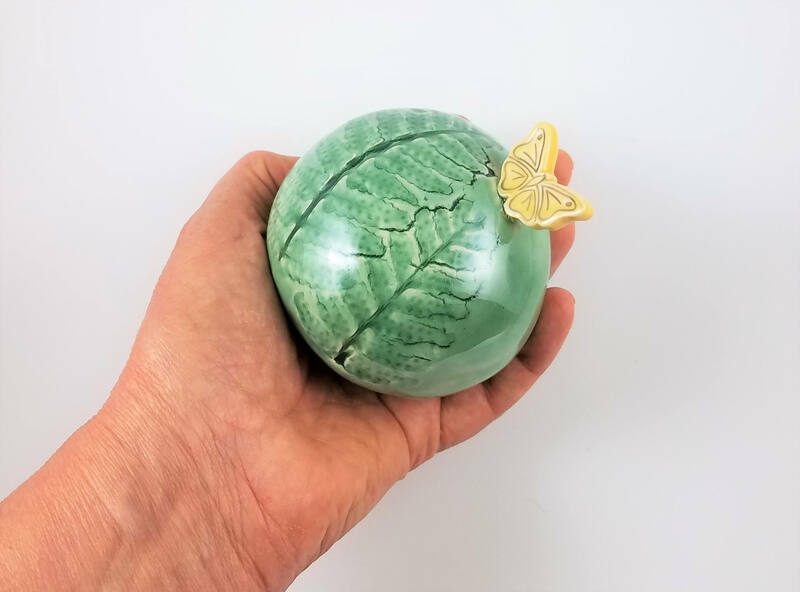 Carry your Spirit Rattle in your pocket or purse to use during any stressful situation (sitting in traffic, standing in long lines, during chemo or medical treatments, anywhere you experience stress). Spirit Rattles make wonderful gifts for all ages. 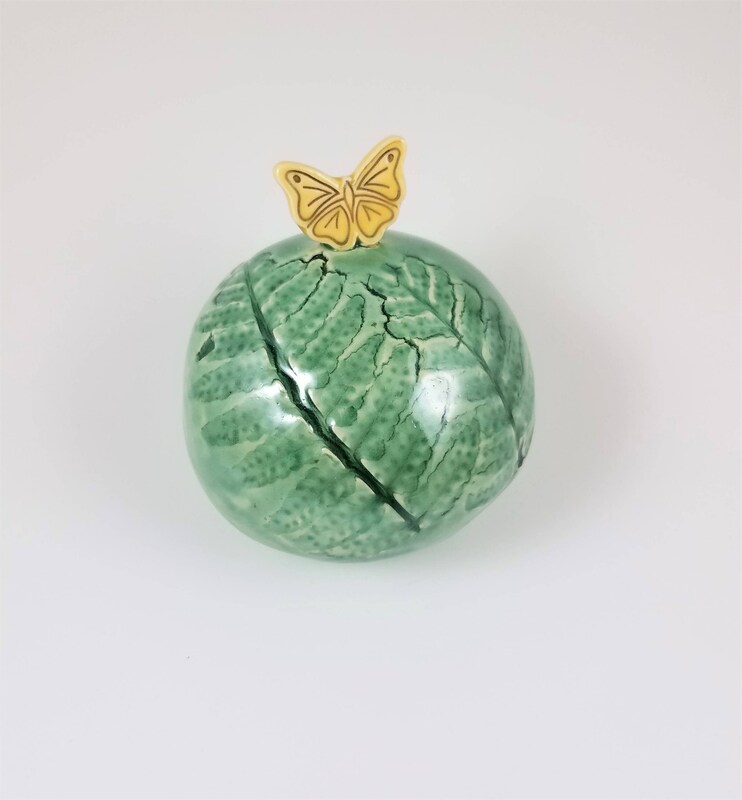 Each Spirit Rattle is handcrafted from either porcelain or stoneware clay and kiln-fired. Inside are clay beads that make a unique sound when you shake the rattle.